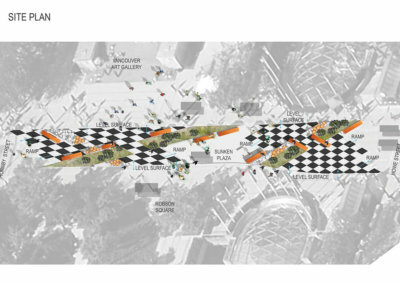 Background: The City of Vancouver has some great programs to get residents out, active and involved in the city. 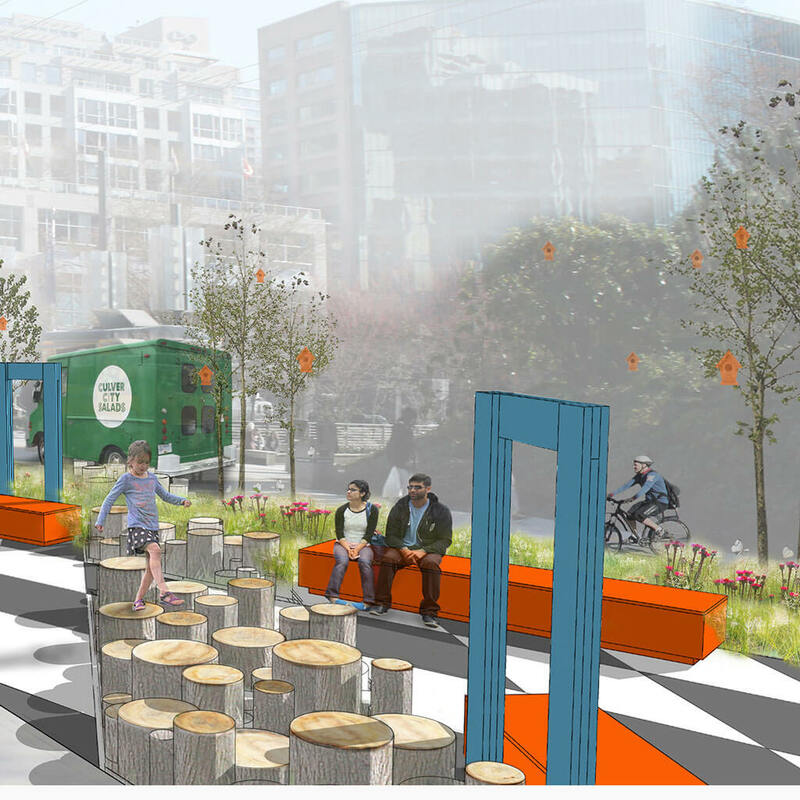 A branch of the city that facilitates these gatherings is Viva Vancouver, whose goal is to creatively transforming streets into vibrant public spaces in order to enhance the city’s sense of community. The Robson Redux Competition is a successful Viva Vancouver event that is entering its fourth year of implementation. 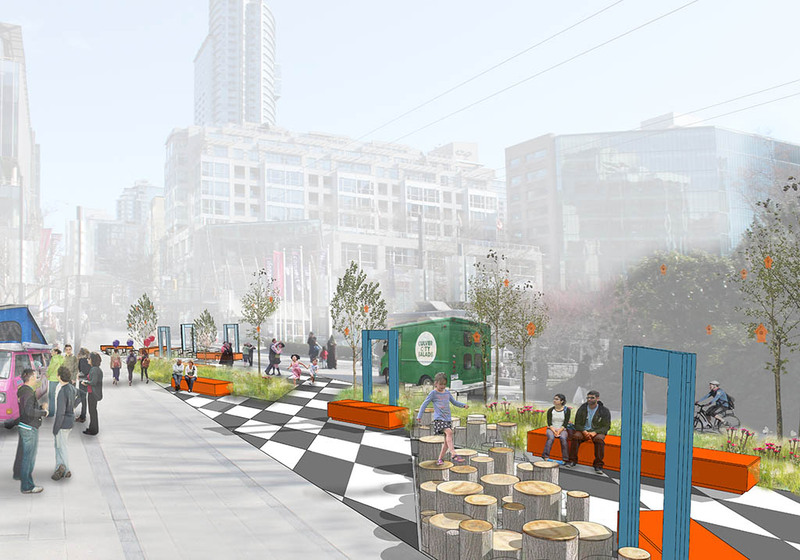 It is aimed at temporarily transforming the iconic 800 block of Robson Street from a busy, traffic filled arterial road to a vibrant, engaging and pedestrian friendly space over the summer months when Vancouver residents love to be outside and soaking up the sunshine. 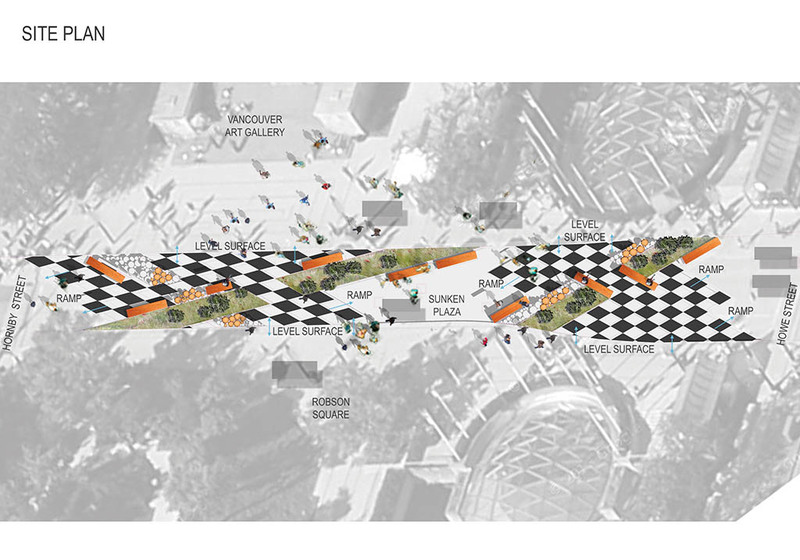 This is the first year, 2014, that Robson Redux was opened up as a world-wide public design-build competition. Viva Vancouver received almost 100 submissions from local designers and from designers all over the world. 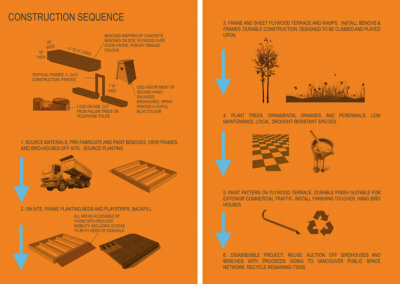 One SEED jumped at the opportunity to participate in the competition, as we are always interested in improving our communities through design. 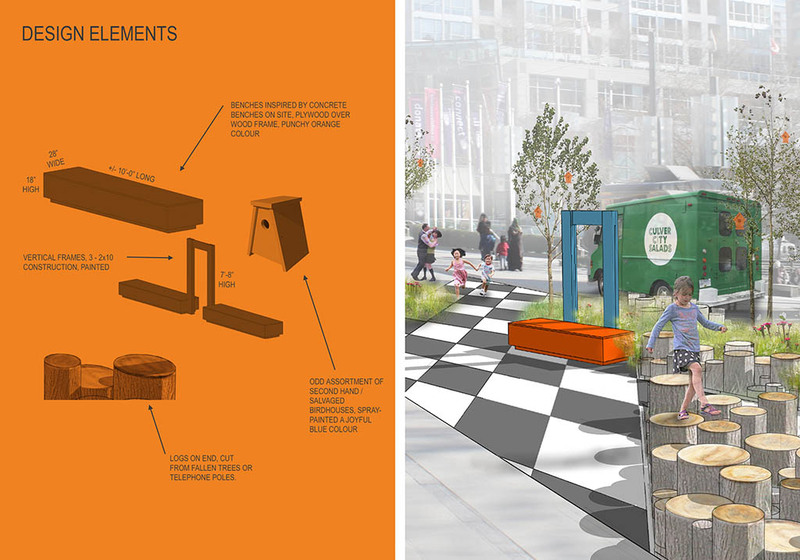 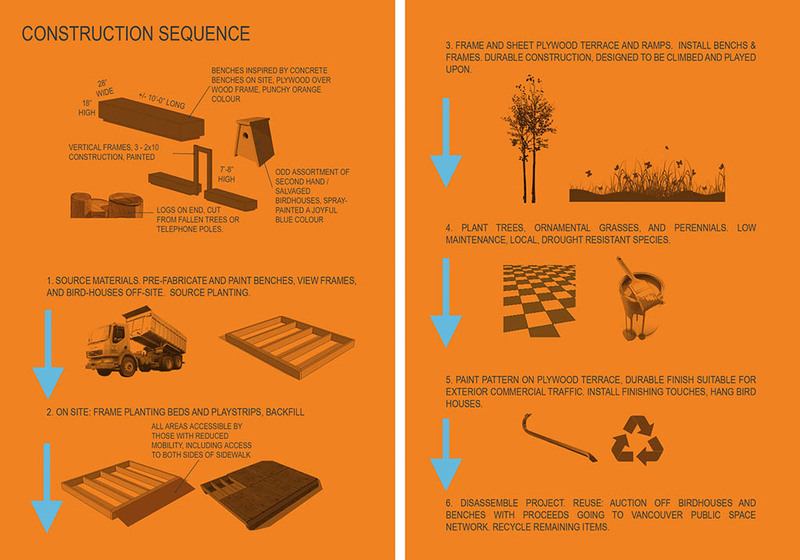 We joined forces with the talented Intern Landscape Architect, Amelia Sullivan and undertook a collaborative process. Our key objective was to combine our knowledge sets and holistically design a proposal that fulfilled this year’s theme of connection. 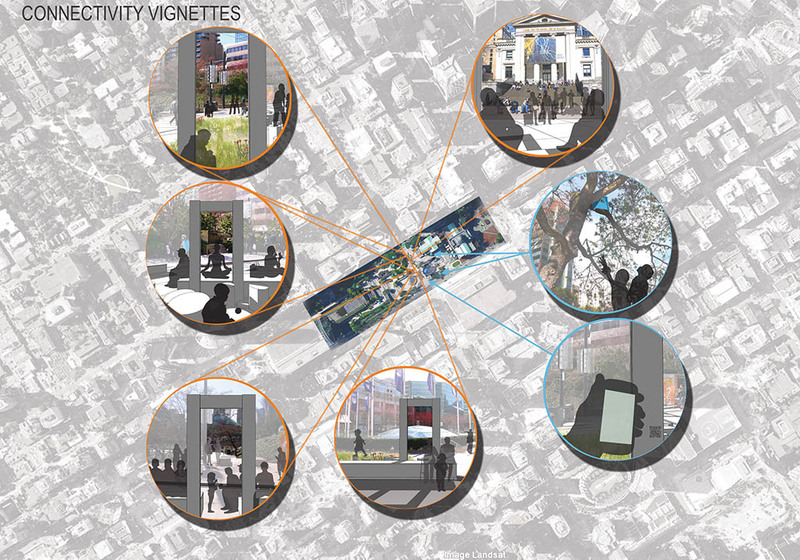 It was important for us to reveal the site’s rich history, and to cause passersby to pause and connect to one another and the unique space.